CHICAGO — On Monday, February 15, I slept in Vincent van Gogh’s bedroom, the room from the Yellow House in Arles that he famously painted in 1888 and 1889. It wasn’t the real bedroom, but a re-creation of the artist’s “The Bedroom” painting inside a 29th-floor condo in downtown Chicago. 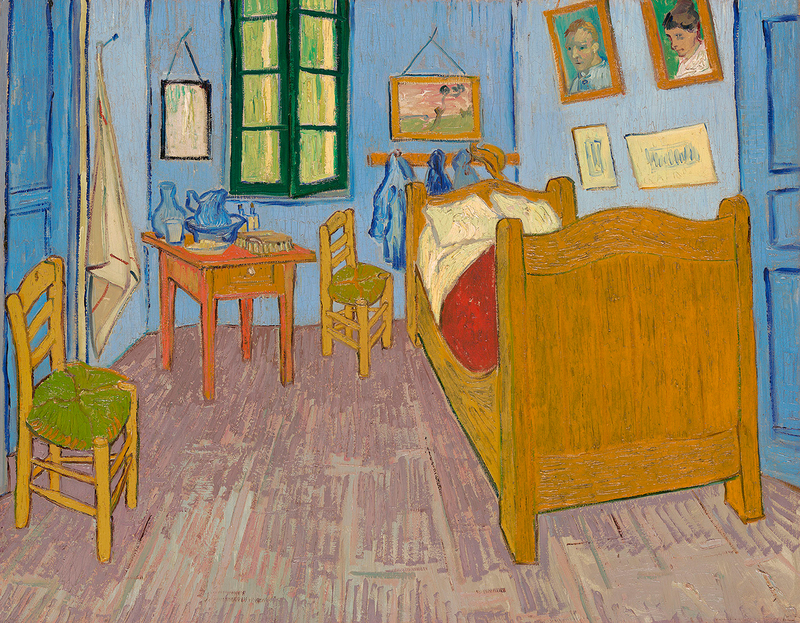 The Art Institute of Chicago’s (AIC) current exhibition Van Gogh’s Bedrooms brings together the three painted versions of the Arles bedroom for the first time in North America, and to commemorate this event the museum commissioned a re-creation of the room, which can be rented for $10 a night on Airbnb. I really had no idea what to expect beforehand. Would it just be a bright, kitschy set that mocked the painting in some way? Would I get any sense at all of sleeping in one of the most famous bedrooms in art history? 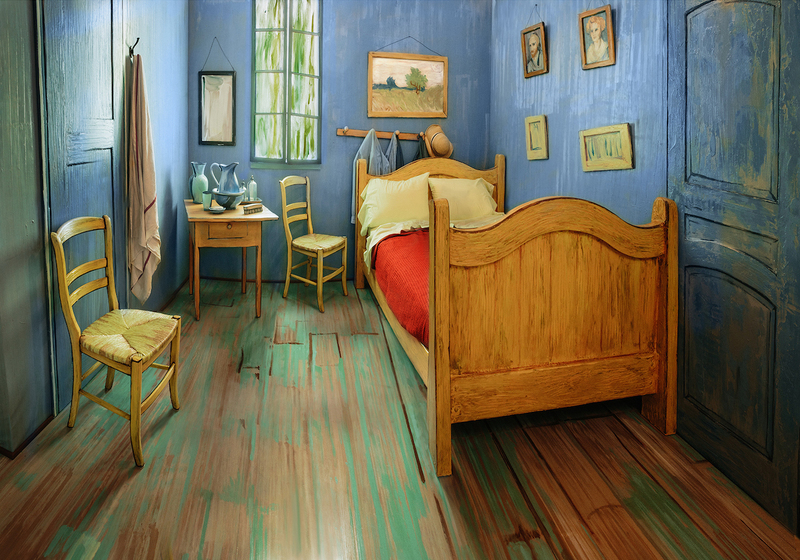 Would I even be able to sleep, given that van Gogh’s bed was fairly small, and I am fairly tall? 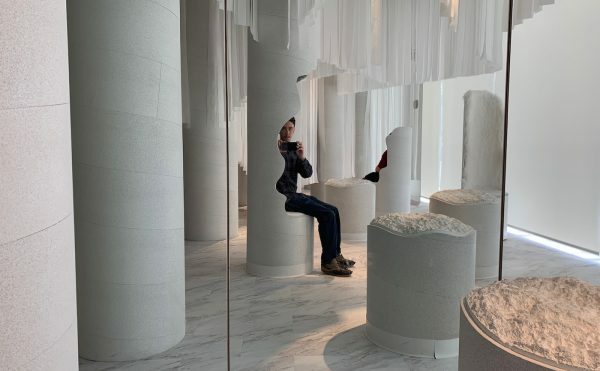 I entered the main living area of the condo, a loft-style living room/kitchen with a wall of windows looking out over the city; a bland painting on the wall only accentuated the feeling of being in a classy but featureless hotel room. However, this served to play up the contrast with the bedroom, which struck me immediately with the astonishing accuracy of its reproduction. 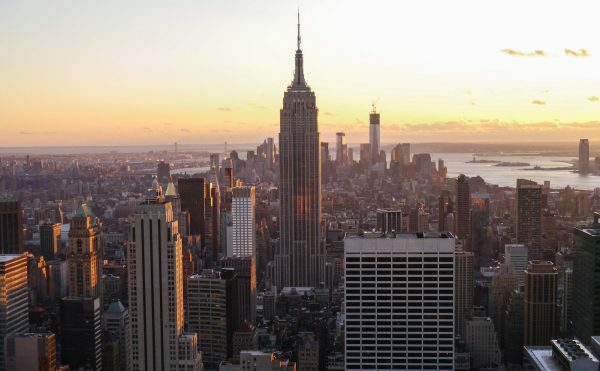 The AIC, and the ad agency (Burnett) and media company (Spark) that built the room, decided to model it on the second version of the painting — owned by the AIC — and they have faithfully copied everything in it, from the smock and straw hat hanging on pegs behind the bed, the chairs and side table laden with toiletries, and the paintings on the walls to the shutter windows, the furniture, and even the splashes of green light on the floor. The only difference is the bed, which is the same style as the one in the painting, but slightly bigger to accommodate modern body sizes and sleeping preferences. 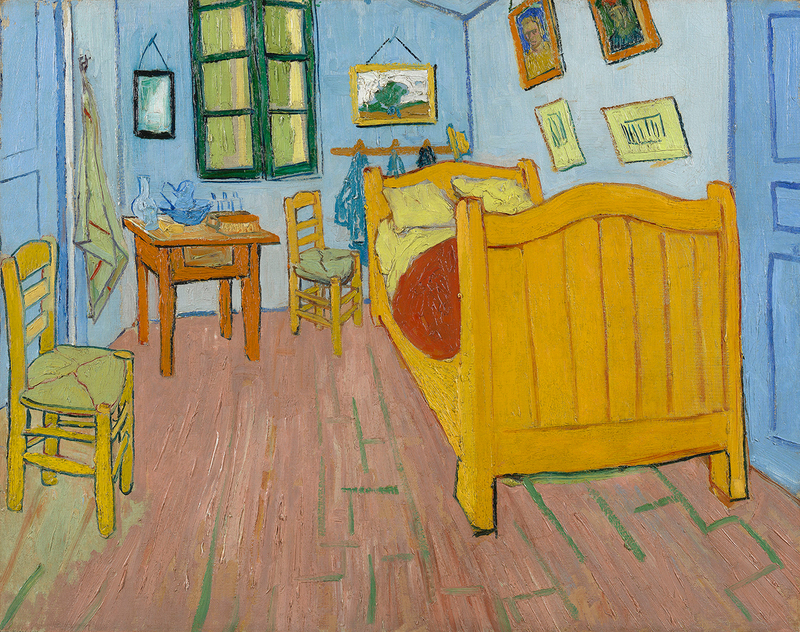 As curator Gloria Groom points out in a video in the exhibition, van Gogh relocated 37 times in his 37 years of life, and his bedroom in the Yellow House in Arles came to embody his yearning for a home — both a physical home, where he could live for a longer period than a few months, and an artistic home, where he could set up a colony of like-minded artists who would share space, exchange ideas about art, and create work together. What struck me most about the bedroom was how small it was, and that the doors on either side of it would originally have opened out to a stairway next to the bed and to the guest room opposite. This means that when Gauguin was in the Yellow House for eight weeks at the end of 1888, he would have had to pass through van Gogh’s room every time that he came back in the middle of the night from one of his regular sessions in the bars and brothels. Even spending one night in this reproduction of the painting, I could imagine the tension that would quickly arise from living in such a tight space. It didn’t quite amount to being touched by the spirit of the artist, but it came pretty close. The exhibition itself takes up this theme of a hunger that van Gogh had for home and human connection. It begins with early works from his time living with his parents in Neunen, Holland: paintings of his parents’ house, a peasant’s cottage, and some landscapes, all executed in gloomy earth tones. 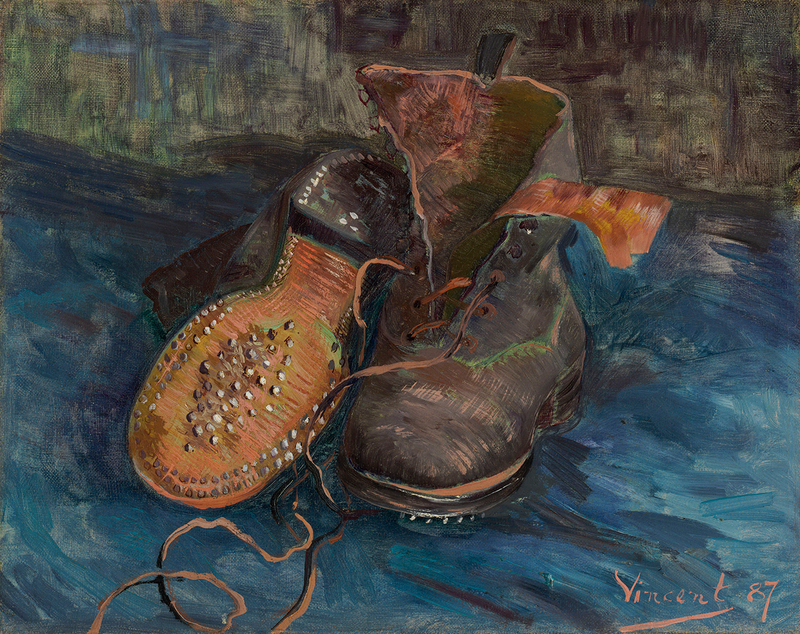 When he moves to Paris in 1886, we see van Gogh painting views out of an apartment window in Montmartre, painting himself, and painting the objects inside the room, such as a pair of worn-out shoes. 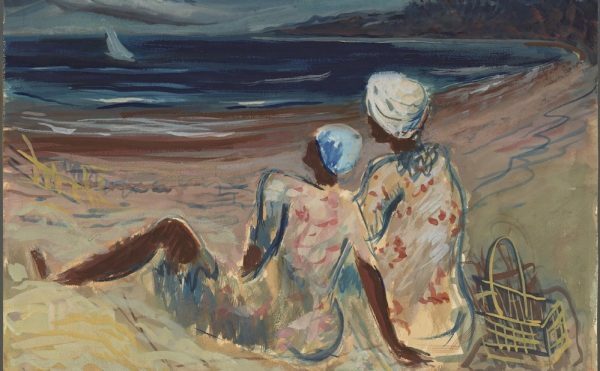 His color palette changes from the browns and blacks of his Dutch period to brighter colors, and he begins using flatter planes, influenced by his contact with the Impressionist painters and with Japanese prints. The centerpiece of the exhibition comprises work produced in Arles: the three versions of the bedroom in the Yellow House, portraits of people he met in town, nearby landscapes, and more domestic objects such as the chairs used by him and Gauguin. The exhibition concludes with a series of paintings completed when he was residing in an asylum in northern France, towards the end of his life. Van Gogh was by no means unique in painting houses or interiors, still lifes or portraits, of course. 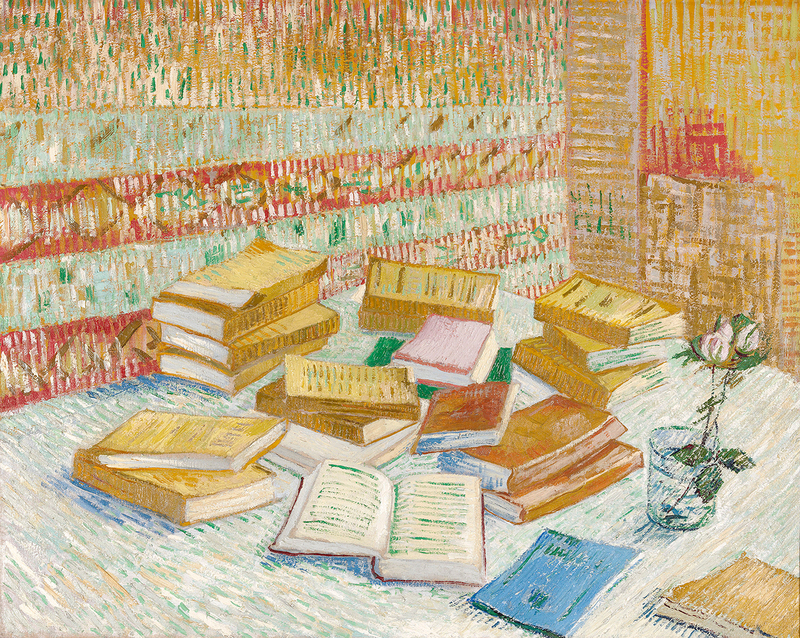 But the curators make a convincing case for the evolution of the meaning of these genres of painting in van Gogh’s artistic development by including many examples of prints and books that he read and collected obsessively. In particular, his ownership of a series of prints depicting the rooms of famous writers and politicians (such as “The Death Room of Corot“) suggests that van Gogh returned to the subject of the domestic interior not just as a way of keeping busy on a rainy day, but as a means of embodying his own feelings of loneliness, disconnection from family and sustained friendships, and his need to find substitutes for these things. The climax of the exhibition is a room containing the three paintings of the Yellow House bedroom. The first, completed in October 1888, was painted in the bedroom itself. The second version was painted using the original as a guide on September 5, 1889, and the third was also painted after the original, on September 28, 1889. 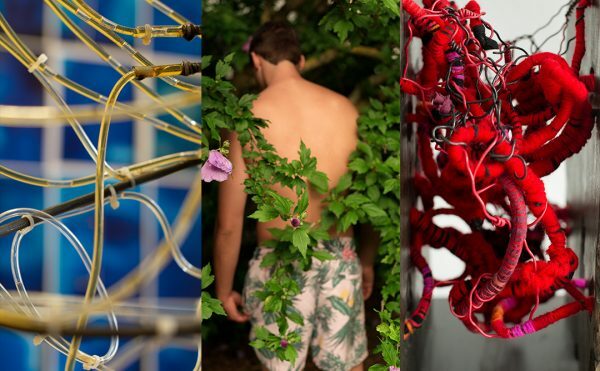 The trio marks the rapid evolution of van Gogh’s style, and his mood, over the course of a year. 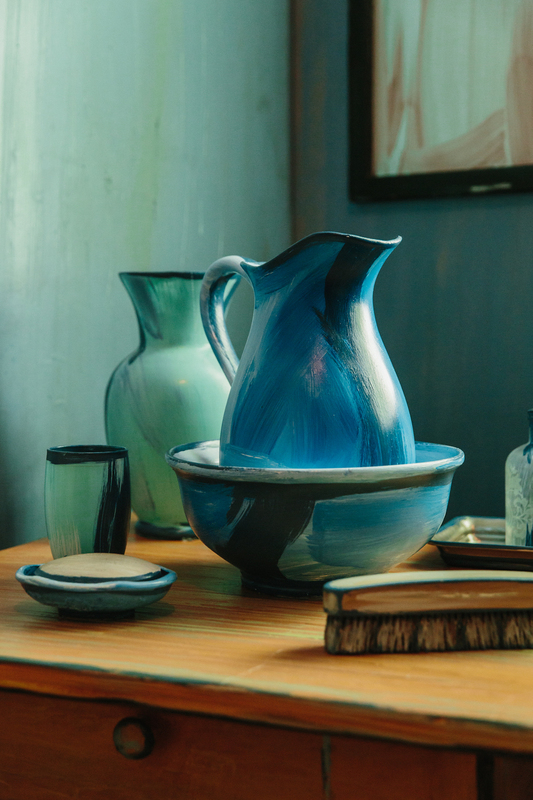 In the words of his biographers Stephen Naifeh and Gregory White Smith, in the first version he “memorialized the limitless possibilities of his dreams in the Midi,” using measured brushstrokes and areas of flat, bright color that create a feeling of order and calm. Eleven months later, after the disastrous cohabitation with Gauguin that led to his self-mutilation and prolonged incarceration in asylums, van Gogh used heavy impasto and more agitated brushstrokes in the second and third versions. The differences are subtle — the paintings on the wall leaning more towards the bed, thicker outlines, darker hues — but they make the later versions seem starker, emptier, even menacing. They also point toward his last works — the asylum paintings, the cypresses, the wheat fields — in which his desire to capture his emotional response to the world through paint came out in blizzards of whirling, sinuous mark-making. The changes and differences between the three paintings are also explored in exhibition videos about the conservation process, so visitors can get into the weeds of paint composition, how van Gogh mixed his colors, which parts of the pictures were done first, and so on. There’s also another physical re-creation, this time of the entire upper floor of the Yellow House, with the exact dimensions of the rooms and their position in relation to one another mapped out on the floor of a gallery, overlaid with video projections of van Gogh’s letters from that time. So, even if you can’t book a night in the Airbnb (the demand is apparently outstripping the supply), you can peer into another version of the bedroom. Or you can leave the 3D aside in favor of the best possible way to experience it: by looking as long as you can at the paintings. 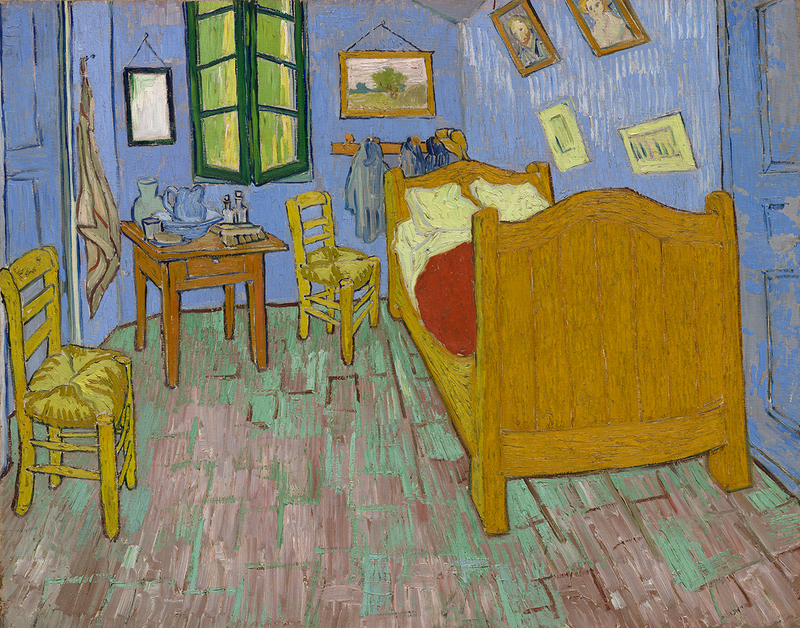 Van Gogh’s Bedrooms continues at the Art Institute of Chicago (111 South Michigan Avenue) through May 10.